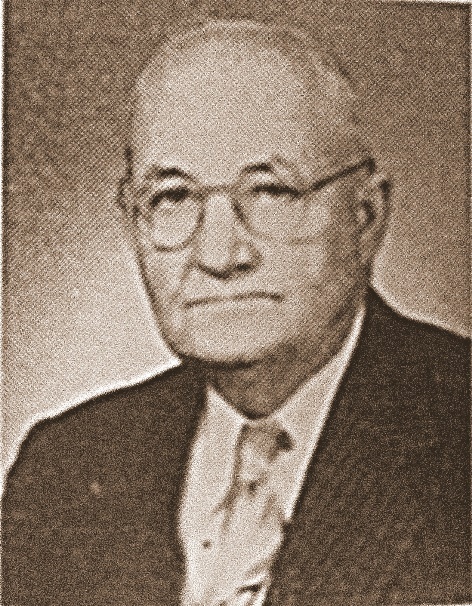 James Henry Swindle, Ray City, member [Georgia House of Representatives], 1935, 1937-37/38 Ex., 1939, 1947-48 Ex. – 48 2 Ex., 1949-49 Ex.-50, 1953-54. Farmer; merchant. Born Aug. 6 1886 near Ray City, Berrien County, GA. Attended elementary schools. Baptist, Democrat, Mason, Member, county board of education, 18 years; chairman, 4 years; member, town council, four years; mayor of Ray City, two years. Family details: Married June 25, 1912 in Nashville, GA, Sarah Ellen Daniel (born Sep. 3, 1888 in Berrien County, GA), daughter of Aaron and Lula Virginia (Luke) Daniel. Children: Margarette Virginia; Doris Evelyn; Grace Elizabeth;James Aaron. James H. Swindle is the son of George Emory Swindle and Margaret Melvina Futch (born June 20, 1856 in Berrien County, GA), and the grandson of James S. and Nancy (Parker) Swindle, and of John M. Futch (b0rn September 12, 1821 in Berrien County, GA, served as sheriff of Berrien County, after county organization and during the Civil War, and Phoebe (Mathis) Futch (born Aug 1, 1822 in Berrien County, GA.). Family researcher Bryan Shaw published a newsletter on Lacy Lester Shaw in 1998. (see http://www.fmshawfamily.com/) A son of Francis Marion Shaw and Rachel Moore Allen Shaw, Sr., Lacy Lester Shaw was involved in the turpentine industry with his brothers Arthur and Chester Shaw, primarily running the commissary at the still sites. On June 7, 1896, at the age of 23, Lacy married Tula Albritton, daughter of Hodge Albritton and Susan Catherine Byrd. She was the sister of Gertrude Albritton Shaw, wife of Lacy’s oldest brother. Later, Lacy Lester Shaw was involved in the hardware and grocery business in Ray City, GA and in Valdosta. He was a member of the New Ramah Primitive Baptist Church at Ray City. He was also a Mason and served as treasurer of Ray City lodge No. 553. In 1917 he built a house on North Street and opened a hardware business as the Ray City Supply Company. 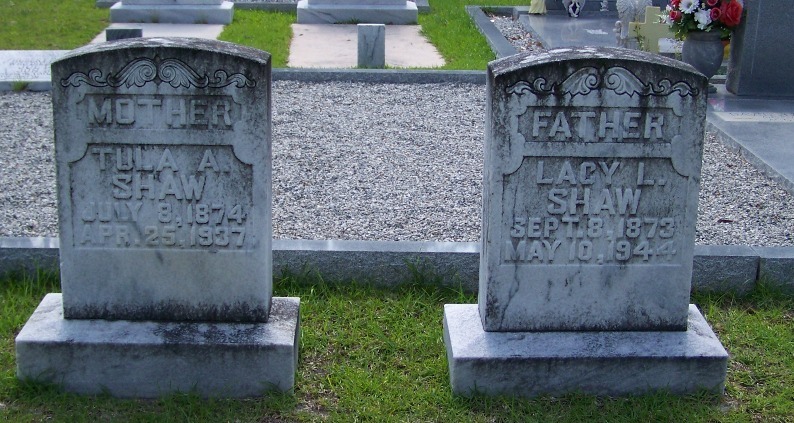 But after only a few years Lacy Lester Shaw moved his family to Valdosta.